Because I am always looking for an easy way to eat delicious, as well as healthy quick breads, I'm always on the lookout for healthier recipes. Here's a great one that's low in cholesterol and saturated fat. You'll love these scrumptious, healthier muffins. 1.) Heat oven to 370 ºF/ 188ºC. Line two muffins pans with cup cake papers/liners. 2.) In a large bowl, combine both flours, cinnamon, baking powder and salt. 3.) In a medium bowl, cream milk, oatmeal, brown sugar or honey, oil and egg until well blended. Mix in flour mixture gradually into creamed mixture until well mixed. 4.) 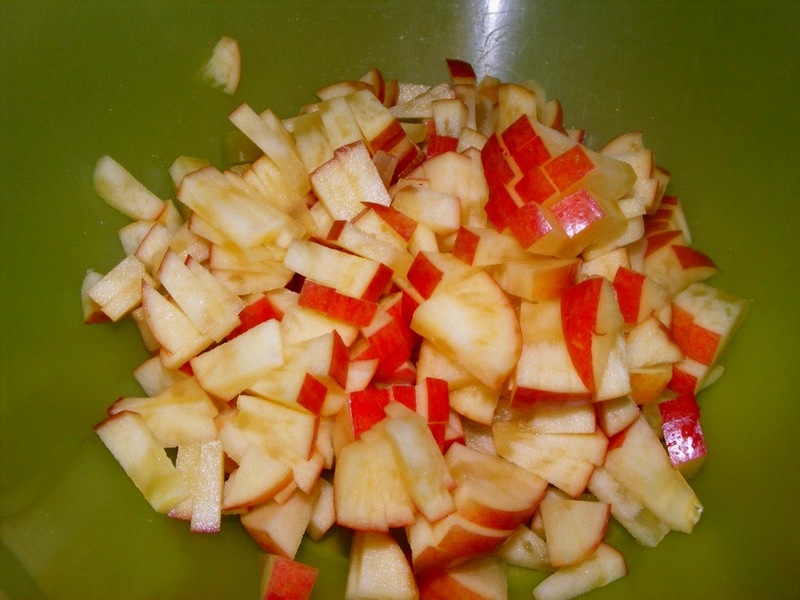 Fold in the apples with a wooden spoon. 5.) Divide batter among muffin cups. Bake 18-20 minutes or until wooden toothpick inserted in centers comes out clean. 6.) Remove and cool muffins in pans to at least 5 minutes; remove from pan and cool on wire rack. Enjoy your healthy and delicious Apple Oatmeal muffins ^_^!! Do you have any recipes you make @ home that are healthy variations of a regular recipe? If so share your ideas ! !